The City Council provide the Christmas illuminations in the City, with financial assistance from the Chamber of Trade and local businesses. The ‘switch on’ of the lights is preceded by events on the Market Square, with a festive market in the City Centre. 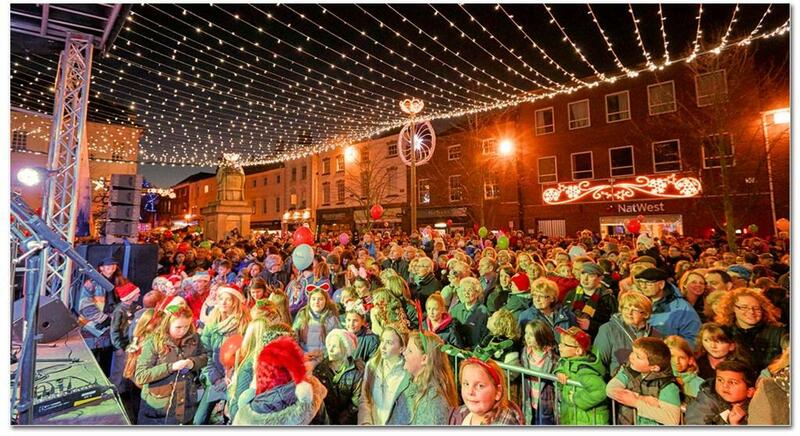 The switch on event was previously held on a Thursday, but a recent switch to a Sunday saw attendance grow inexorably and the event has become a mainstay of the festive season in Lichfield. Preparations for the event begin several months beforehand, and the illuminations themselves consist of more than 5,000 bulbs, a light canopy over the Market Square and various animated features.